So lets count on the clues ,First the black egg with chocolate ,then black newspaper followed by black cup and black tissue.I must say marketing team have done great job confusing till the last moment.I was nonplussed till the last moment about what could be the product?But the product came in my hand ,a black turned white and the white is no more black .Check out the Black product ? My friend suggested it could be black Tea which could be served in a cup. 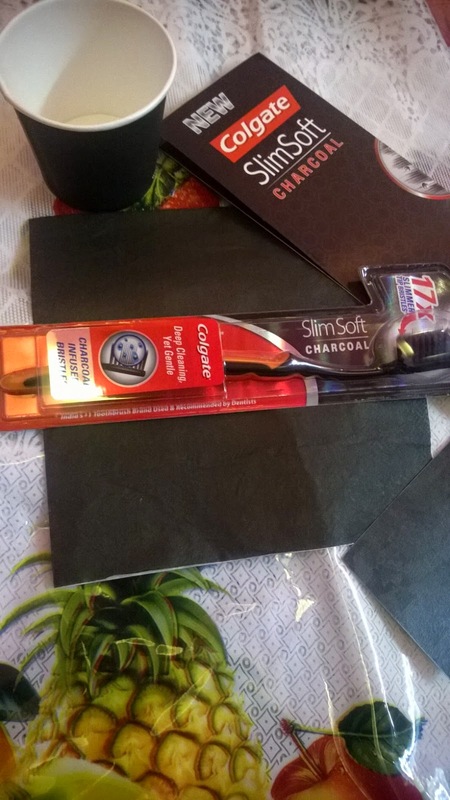 It was Colgate Slimsoft Charcoal with 17times slimmer black bristles.The slimsoft bristles are infused with goodness of charcoal to fight the decay causing bacteria in plaque. As crazy as it sounds,Charcoal is used as home remedy for whitening the tooth.Many people use activated charcoal to whiten their tooth and clean their gums.I have heard about the Activated charcoal is amazing at whitening teeth as it have adsorption qualities specifically tannins.Tannins are in the food and beverages we consume that stain our teeth(Tea,Coke,sweets etc) and activated charcoal is remarkably efficient and fast at adsorbing them. 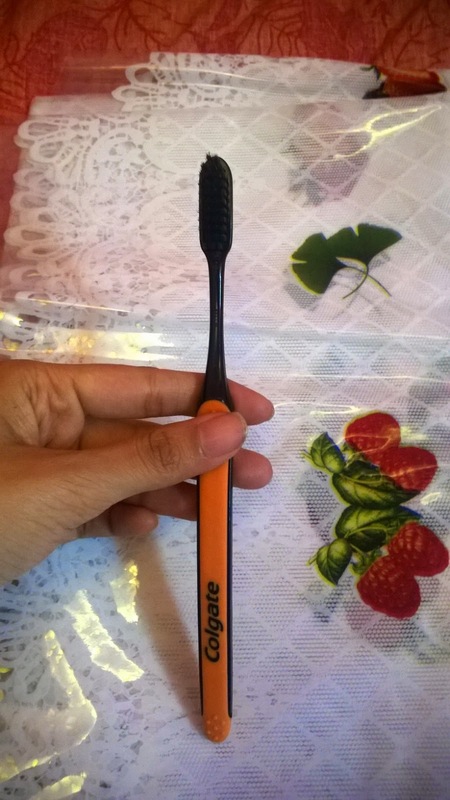 So the charcoal infused in the toothbrush would help me prevent cavities and bad breath as well.What is more great to have is soft bristles which can clean every section of your teeth without hurting them. 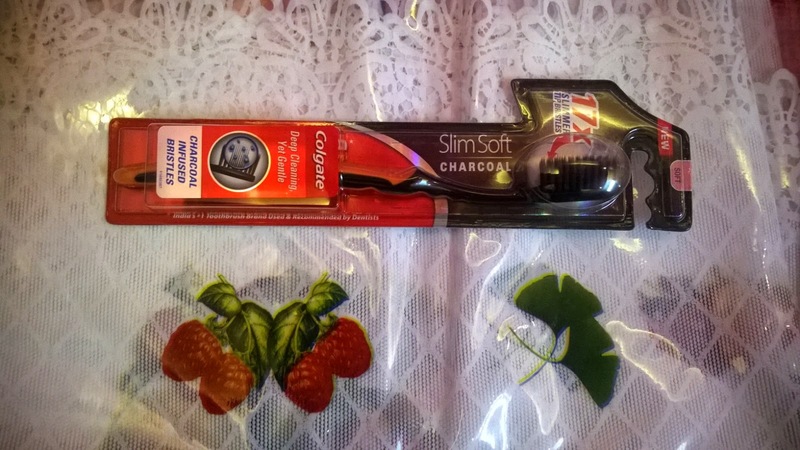 Colgate introduces slim soft charcoal which is less than 0.01mm,it has charcoal bristles with its fine and thin tips which reaches around the corner.And I already started using the brush as soon as i got .I wish i could have got the pink color ,as they have color options for Slimsoft charcoal. 1.Usability:-It is easy to hold and soft to feel.You can easily move the toothbrush around your molars and feel the slim softness. 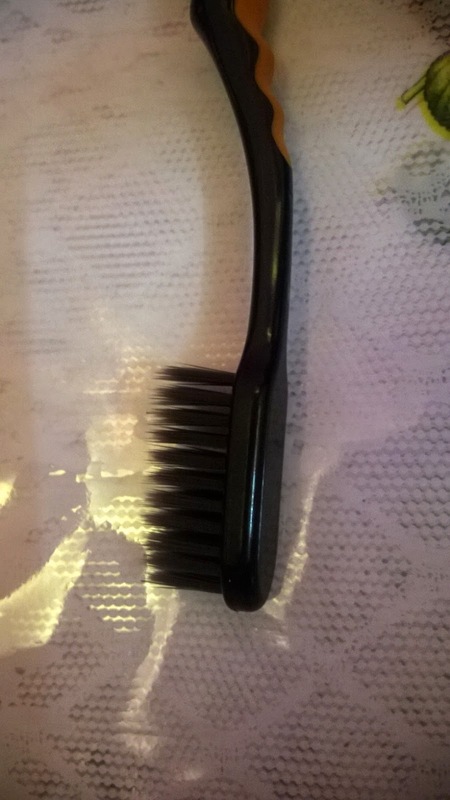 2.Comfort :-The bristles are much gentler than my old toothbrush .I found slimsoft much gentler and softer on my gums. 3.Cleaning ability :-It was cleaning my teeth almost same as my old toothbrush,but it cleaned my back molars much easily because of the small head. So the black surprise came out.It was interesting playing the 4day guess game.It was great fun with family and friends.All thanks to Blogadda team and Innovators. Funny and humorous as you call!